Colorado lawmakers are about to start debating a piece of legislation that's designed to reduce energy bills for Coloradans — especially large energy consumers — while paying down the costs of aging coal plants in the state. 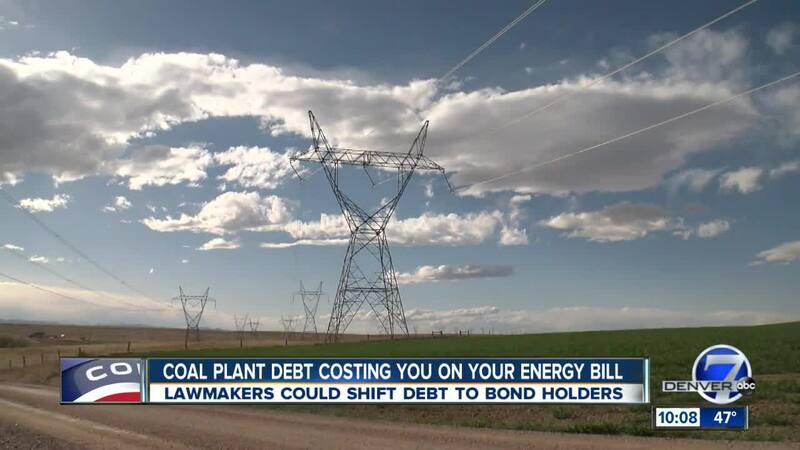 DENVER -- Colorado lawmakers are about to start debating a piece of legislation that's designed to reduce energy bills for Coloradans — especially large energy consumers — while paying down the costs of aging coal plants in the state. Rep. Chris Hansen, D-Denver, introduced the Colorado Energy Impact Assistance Act. It's scheduled for discussion and debate in a committee this week, he said Sunday. He compared the legislation to a homeowner's attempt to refinance their home mortgage to reduce monthly mortgage costs. "I really see this as a chance for ratepayers to save themselves money," he said. In short, he said aging and retiring coal plants still hold value even after they close. He wants to shift the burden to bondholders instead. "We are all, as ratepayers, paying for old power plants and this bill would allow us to take those off the books, refinance them at a much lower interest rate, and save the customers a tremendous amount on their bills," Hansen said. He said ratepayers currently pay roughly 7 percent interest. Under a bonding structure, he said the projections show a 3 percent interest rate. Altogether, he said retailers, refineries and other large energy users would see the most benefit — a 1 to 2 percent reduction in energy costs for every coal plant that goes through the bonding process. He said the legislation would also shift some of that savings to workers and communities to, for instance, transition away from coal technology more seamlessly. "I really see this as one of those great opportunities for us in state government to anticipate and try to address a problem before it gets very severe," Hansen said.